Fox News host Sean Hannity has been one of President Donald Trump’s biggest propagandists and defenders, lashing out at the president’s perceived enemies and critics to defend his actions and policies. But Hannity has not defended Trump on any issue more staunchly than on the ongoing controversy surrounding Trump and his administration’s possible ties to Russia, which the Justice Department and both chambers of Congress are investigating. Hannity has sunk to unprecedented levels to undermine these investigations. He has made up often inconsistent conspiracy theories about who actually was behind the hacking of the Democratic National Committee (DNC) emails, has hyped dubious scandals involving former Democratic presidential nominee Hillary Clinton and former President Barack Obama, has attacked former FBI Director James Comey and the special counsel for the Russia probe, Robert Mueller, and has even suggested that collusion between the Trump campaign and the Russian government is fine. 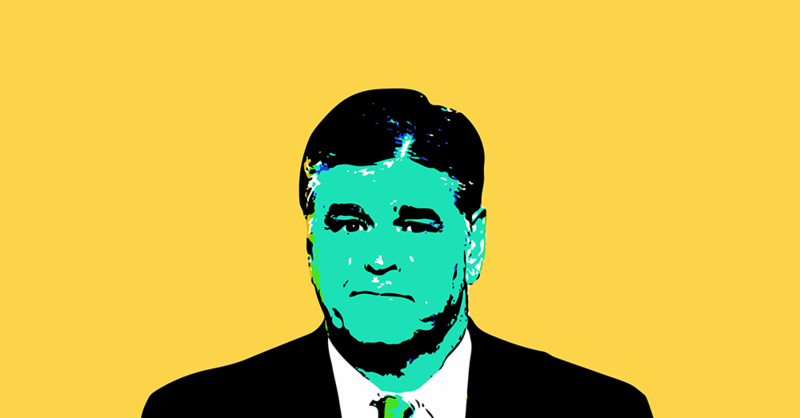 Here are 22 examples of Hannity ignoring facts, promoting falsehoods and conspiracies, and attempting to cast blame on others in order to defend, deflect, and downplay accusations that Trump's campaign colluded with Russia to interfere in the U.S election. Hannity has repeatedly pushed the conspiracy theory that murdered DNC staffer Seth Rich, and not Russia, was involved in the hacking of DNC emails and that he was murdered as retribution for providing the emails to WikiLeaks. 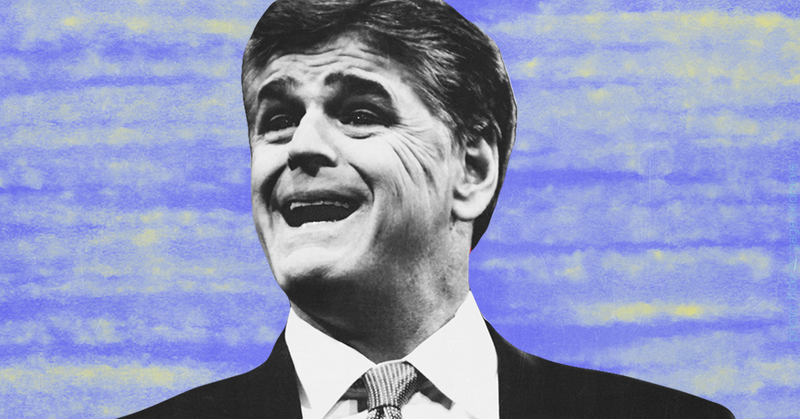 Even after Rich’s family asked him to stop, Hannity continued to push the conspiracy theory and even promoted dubious figure Kim Dotcom’s conspiracy theories about Rich, which were picked up by multiple fringe media outlets and Reddit users. A recent lawsuit from a Fox contributor, who was quoted pushing the conspiracy theory in a since-retracted FoxNews.com article, alleged that some of the talking points used by Hannity about Rich were crafted by a GOP donor in order to undermine allegations of Russian interference in the U.S. election. In March, Hannity suggested that the CIA framed Russia for 2016 election interference, a conspiracy theory pushed by Breitbart. After former acting Attorney General Sally Yates testified before the Senate that she warned the Trump administration about then-national security adviser Michael Flynn and his contacts with Russian officials, Hannity tried to downplay it by claiming the Obama administration had unlawfully “unmasked” Flynn and other officials caught in surveillance. Hannity has repeatedly brought up so-called “Clinton scandals” to distract his viewers from issues surrounding the Trump administration. Hannity has falsely claimed that Clinton committed multiple felonies, that the Clinton Foundation got millions of dollars due to a uranium deal with Russia (a falsehood which Trump has since pushed), and has wildly speculated about how "damning" FBI documents about the probe into Clinton’s private email server must have been. After the revelations that Donald Trump Jr. had a meeting during the presidential campaign with Russians to get supposedly damaging information on Clinton, Hannity pushed a false claim originating from pro-Trump fringe media (and which Trump’s legal team encouraged) saying the meeting was some kind of a Democratic set-up against the Trumps and that former Attorney General Loretta Lynch was somehow involved in the plot. Hannity tried to downplay the Trump Jr. meeting by falsely claiming that Clinton’s presidential campaign and the DNC had colluded more closely with the Ukrainian government than Trump had with Russia. Hannity has repeatedly claimed that the so-called “deep state” is out to get Trump, even saying that “a soft coup is underway" against Trump with "sinister forces quickly aligning in what is becoming now, in my mind, a clear and present danger” to Trump. In June, Hannity promoted another false talking point from Posobiec, spread by fake news purveyors and other figures in the far-right fringe, that Comey said in May that Trump never asked him to halt any FBI probe. After Comey testified before the Senate about Trump firing him and the release of memos describing his interactions with the president, Hannity invited Trump Jr. on his radio show to smear Comey as "weak and feckless." When The Washington Post reported on June 14 that Mueller was investigating Trump for potential obstruction of justice, Hannity called it the "biggest act ... of retribution we have ever seen from the deep state in the history of this country." Hannity has repeatedly hosted reporters from pro-Trump outlet Circa News, owned by conservative media giant Sinclair Broadcasting, who have discussed supposed “improprieties by former President Obama’s national security adviser Susan Rice and fired FBI Director James Comey, and [have cast] doubt on rival media reports of possible Trump campaign collusion with Russia,” according to The Daily Beast. Most recently, Hannity hosted a Circa reporter on his show who dubiously hyped supposed wrongdoing by former Obama aide Ben Rhodes. Hannity has suggested Mueller is engaging in criminal acts.